Waiting On Wednesday is a weekly Meme, hosted at Breaking The Spine, that spotlights upcoming releases that we're eagerly anticipating. 2) I am not going to pass up the chance that we will see Ash again.. and Puck for that matter. 3) Um.. It's part of The Iron Fey series and Julie Kagawa is writting it.. Do I need to say more? To put it simply.. It is in my Amazon cart...right now. 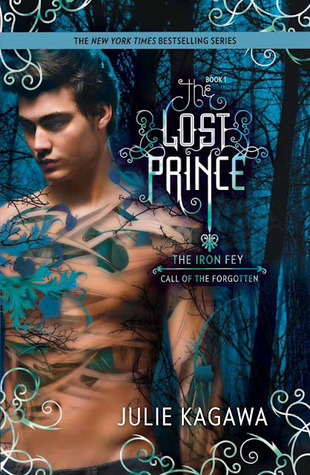 I haven't read the Iron Fey series but I will have to before this one is released! Eeep I am so excited for The Lost Prince! Giddy, even. I might have to preorder this one as well. whhhaaattttt this is pretty great news. I seriously hope Puck is involved! great pick. Head good things about book 1 - sounds like this one will be similarly paced!